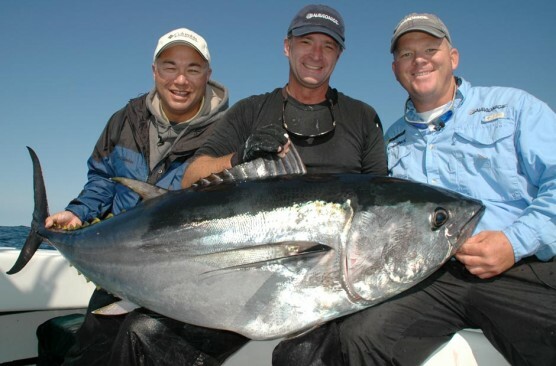 Tuna is a popular sportfish, and one of the best tasting in the ocean. They can grow to a very large size, and are extremely strong fighters. They can be tricky to locate and catch due to the fact that they are an offshore species that are constantly on the move. 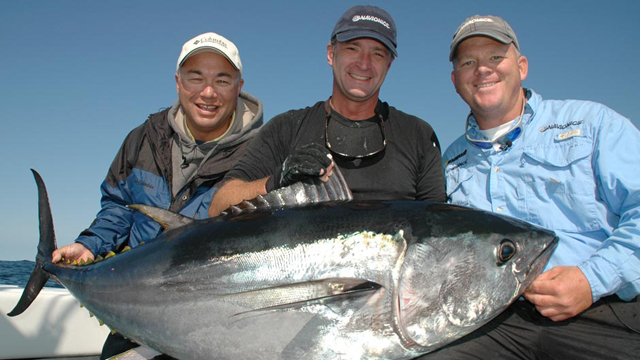 The best thing you can do if you want to learn about catching tuna is to book a tuna fishing charter. 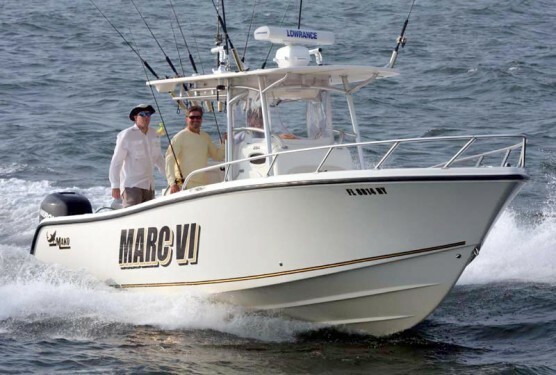 Even if you have your own boat, using a tuna fishing charter is the perfect learning experience. Let the charter captain know that you want to learn about catching tuna, and ask to be shown everything that is being done. There are obviously some secrets that a charter captain won't share. However, if you are open and upfront about your reason for booking the charter, then the captain will be prepared to at least show you the basics. 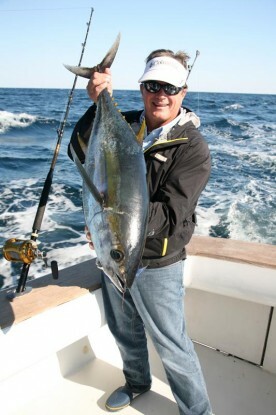 Book your tuna fishing charter. Photo Courtesy of Izumi Outdoors Inc. There are many different techniques for catching tuna, and different ways of locating the fish. Try to ask questions about why a certain technique is being used. Likewise, don't ask for the location of specific fishing spots. Instead, ask about how to go about finding your own spots. Ask about water depth, current and temperature. These things are more important when tuna fishing because the fish are always on the move. The same goes for tuna fishing gear. Don't worry as much about specific models, although it is good to know the brand that the charter captain trusts. Instead, ask questions about the type of fishing gear. For fishing reels, ask about the reel type, size, line capacity and gear ratio. For fishing rods, ask about the type, length, weight and action. For line, ask about the type and pound test. Get the charter captain to show you how to rig the bait. After you have watched a few times, ask if you can try to rig the bait yourself. Pay close attention to details. Often, a small change in the way the bait is hooked can cause a big difference in how it moves through the water. Find out what type of live bait and chum is being used. This often changes in different areas and time of the year. So ask if other types of bait is used in your area in other situations. Learn more about how to choose a fishing guide.